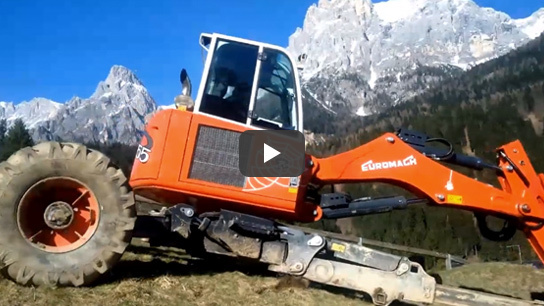 Euromach has been operating for over 40 years, specializing in the design, construction and marketing of spider excavators (also called walking excavators or spider diggers). Its selection is the most complete in the world market, with models specific for each type of environment, able to operate on the most difficult terrains, even in extreme conditions. All the machines are built in order to reach the absolute affidability. The Euromach's customer doesn't want a standard machine, he wants something special built for his needs. For this reason, we have designed and produced the widest selection of the market, with models that have specifications for all situations.